Here at Unity Gardens, we are so proud of (and grateful for) our history of having truly amazing, dedicated board members volunteering their time and talents to help us accomplish our mission of improving and strengthening communities across Anne Arundel County through the support of sustainable greening projects. Our board members bring a variety of personal passions and professional backgrounds to the table, and we invite you to take a few moments to learn more about them below. If you are interested in offering your services as a board member or volunteer, please contact us! She has worked in the education sector for Johns Hopkins University and The Key School locally, as well as the Jane Goodall Institute globally. While at the South River Federation, Suzanne became well-acquainted with the many environmental organizations in the county who are working together to improve the health of the Bay. Ms. Martin earned a master’s degree in Education (Organizational and Human Resource Development) from the University of Vermont and holds a bachelor’s degree from Skidmore College. On a more personal note, Suzanne sings with the Annapolis Chorale and volunteers regularly for the Alliance for the Chesapeake Bay. You can find her on or near the water on almost any given day with her husband Wayne and their 2 rescue dogs. She enjoys kayaking, walking, hanging with her dogs, and visiting her children in Maine and Colorado and occasionally noodling around with her guitar. Originally a Texan, I have been a Marylander since 1971. I have been a federal government administrator, Judicial Conference researcher, stay-at-home mother, law student and lawyer, in that order, sailor, and now an Anne Arundelian and rabid gardener and environmental worrier. 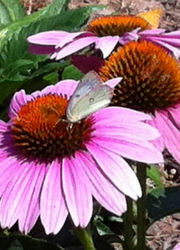 I am a Master Gardener, Master Watershed Steward and Horticultural Society member. Donna is a native Annapolitan, having grown up in the community of Annapolis Roads. Her mother was on the Garden Club (maybe that’s where she obtained her love of gardening). 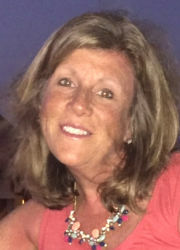 After attending Severn School, Lynchburg College and Adelphi University, Donna went on to become a Special Educator in the state of New York. While there, she attending New York University, where she received a Professional Diploma and permanent certification in Education Administration and Supervision. She married and came back to Annapolis where she still resides. She has two children, Danny 22 and Jaimie 26 who are both independent and in careers that they are passionate about. 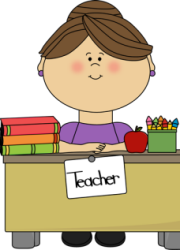 After being a Special Educator for 20 years, she became an interventionist both academic and behavioral. This lead her to become an Assistant Principal for 4 years and she just finished her 5th year as a Principal at Oakwood Elementary in Glen Burnie. Her school received two grants from Unity Gardens for native plants and lead to what is now a beautiful outdoor classroom of which she is most proud and aligns with her school’s award as a National School of Character. Pam Hanna is a recently retired teacher who has enjoyed gardening with her students for many years. She became acquainted with Unity Gardens during a project at Oakwood Elementary when students combined STEM learning with language arts by designing and creating a sun dial/clock garden with plants that bloomed at specific times of the day. She looks forward to continued support for gardeners as she begins training in the Master Gardener program in the fall of 2016. Unity Gardens provides many opportunities for her to learn about native planting through interaction with the community of local gardeners. Meredith Beach is a landscape architect with Campion Hruby Landscape Architects in Annapolis, Maryland. Her extensive travels throughout the world bring breadth and depth to her understanding of complex landscape issues. Meredith’s award-winning landscape architecture designs focus on harmonizing the built environment with the natural landscape and plants of the Chesapeake region. She holds degrees in both ornamental horticulture from the University of Delaware and landscape architecture from Penn State University, a Master Watershed Steward, a registered landscape architect in the state of Maryland, and an active member of the American Society of Landscape Architects. She lives in Annapolis, loves to cook, and enjoys exploring nature with her husband and two young children. 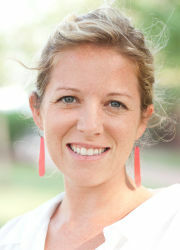 Meredith joined the Unity Gardens board in early 2016. 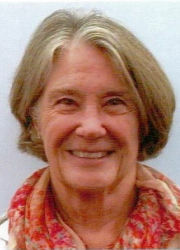 A retired lawyer, Sally Iliff was educated at Duke University, Johns Hopkins, and the University of Maryland School of Law. She and her husband are longtime Annapolis residents who raised their son and daughter in Annapolis. After becoming a Master Gardener, Sally’s interest in native plants increased, spurred in part by an interest in attracting more birds, butterflies, insects, and wildlife to her home property and an attempt to control an ongoing assault by invasive plants. Travel is a strong interest along with a variety of outdoor activities—hiking, kayaking, biking. She and her husband are long time competitive Masters Swimmers who regularly participate in the Chesapeake Bay swim and other open water swims. Lucy Goszkowski has lived and worked in Annapolis since moving here with her family from the Chicago area in 1985. She is employed as a health inspector at the Anne Arundel County Department of Health, in the Bureau of Environmental Health. 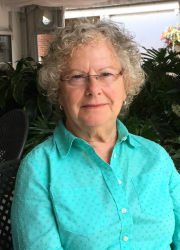 She is an avid gardener, and is a member and former president of the Annapolis Horticulture Society. 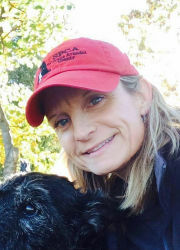 Lucy has volunteered with several local organizations, including the Friends of Quiet Waters Park, Historic London Town, the Hammond-Harwood House, and the Anne Arundel SPCA. Joni Sralla Miller is a lifelong environmentalist. She worked previously at the Chesapeake Bay Foundation and BoatU.S. Foundation for Boating Safety and Clean Water, and currently serves as the co-chair of the Anne Arundel County Master Gardeners Executive Advisory Board. Joni grew up in Houston, Texas, attended Webster University in St. Louis for an undergraduate degree in Political Science, and got her Masters degree at University of Baltimore in Publications Design. She is passionate about backyard habitat and preserving nature in the face of rapid land development, especially in Anne Arundel County. She is a writer, graphic designer, community gardener, and glutinous devourer of good books, food, and wine. She lives in a 1800’s farmhouse with her husband and two children. 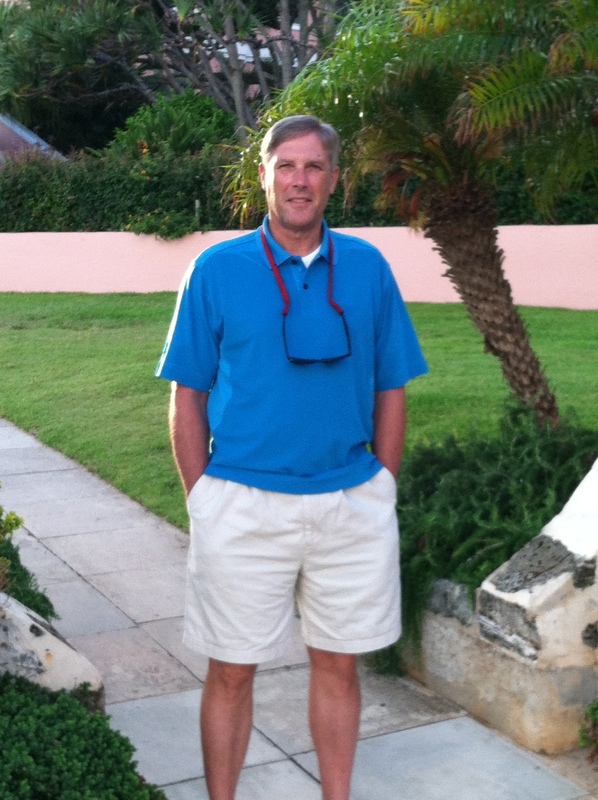 John Rhoderick has a long history of working in the environmental protection field. From on the ground non-point pollution research to administering multi-million dollar conservation and environmental programs for federal, state and local agencies. His work at the Chesapeake Bay Program, Maryland Department of Agriculture and Maryland Department of Environment has focused on building public-private partnerships to implement on the ground water quality improvements. 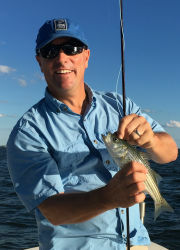 John Rodenhausen has worked on Bay issues in the region as an educator, restoration specialist and fundraiser for the Chesapeake Bay Foundation since 1998. He lives in Anne Arundel County and enjoys fishing with his family. Julie is Founder & Principal of The Wild Child, LLC, providing consulting and design services to help organizations create affordable, imaginative nature play & learning areas and outdoor classrooms. Julie led schoolyard habitat programs with Arlington Echo Outdoor Education Center and The Chesapeake Bay Foundation before joining the Maryland Assoc. for Environmental & Outdoor Education (MAEOE) & the U.S. Fish & Wildlife Service as a Schoolyard Habitat Specialist. She has served on the boards of MAEOE and the Chesapeake Conservation Landscaping Council, and spent several years as Coordinator of the Maryland No Child Left Inside Coalition: 250+ organizations that played a key role in supporting the passage of the first environmental literacy graduation requirement in the nation. 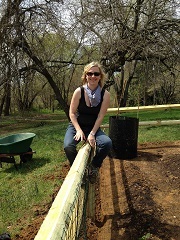 In addition to her Wild Child work, Julie serves on the Maryland Children in Nature Partnership’s Nature Play Task Force and is developing an online schoolyard habitat project instructional guide for the Mid-Atlantic region. Most importantly she is being raised by her own “wild child” and rescue pups! Cathy Shultz had a 30+ year career in the Maryland Office of the Attorney General. Among other assignments, she was the principal counsel for the Department of Human Resources, the state agency responsible for child welfare and public assistance, and principal counsel for the Maryland Higher Education Commission. She also had the opportunity to work on criminal justice, migrant worker rights, and voting rights issues. 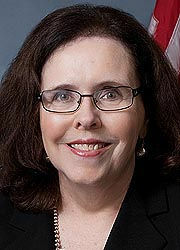 Before retiring, she was the Acting Secretary of Higher Education. Were you a Unity Gardens board member and your name is not listed here? Please feel free to contact us with your bio and picture!